What are EPSO Situational Judgement Tests (SJTs)? The EPSO SJT – Situational Judgement Tests have been introduced in the EPSO CBT to present candidates with scenarios related to the position for which they are applying. The scenarios presented in the tests reflect real-life aspects of the duties of an EU official. The test comprises of 20 questions with 4 possible answers. The candidate is asked to choose from those the “Most Effective” and “Least Effective” solution to the stated situation. The EPSO SJT duration is 30 minutes. The scoring per question for the EPSO SJTs goes from 0 to 2. Correctly identifying the “Most Effective” and the “Least Effective” answers will bring you each 1 point, neutral statements are marked with 0,5 points while wrong answers – opposites to Most Effective and Least Effective receive 0 points. Why are EPSO SJT important? Recently, EPSO has decided to make the Situational Judgement Tests eliminatory. Moreover, they account for 50% of the overall preselection mark for Administrators and one third of the preselection mark for Assistants. In this case you need to understand that EPSO SJT should become your first point of focus for the preselection. A high score in EPSO preselection field will increase your chances to be among the candidates invited for Assessment Centre. How should I prepare for EPSO SJT? Try to find out as much information as possible about the skills above and the situations that are reflecting them. 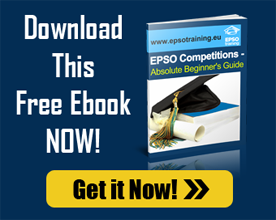 To find out more about the EPSO SJT exams and to improve your score make sure you also check our online epso sjt training course.